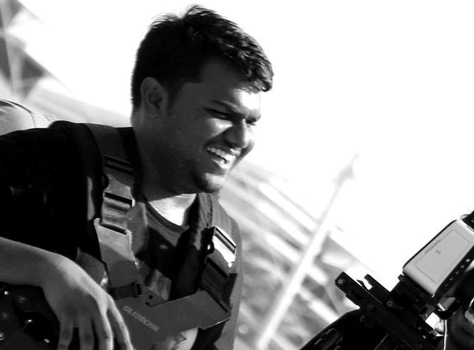 Boggler Blogger: Under The Spot Light: En Veetu Thottatil- The Farm. 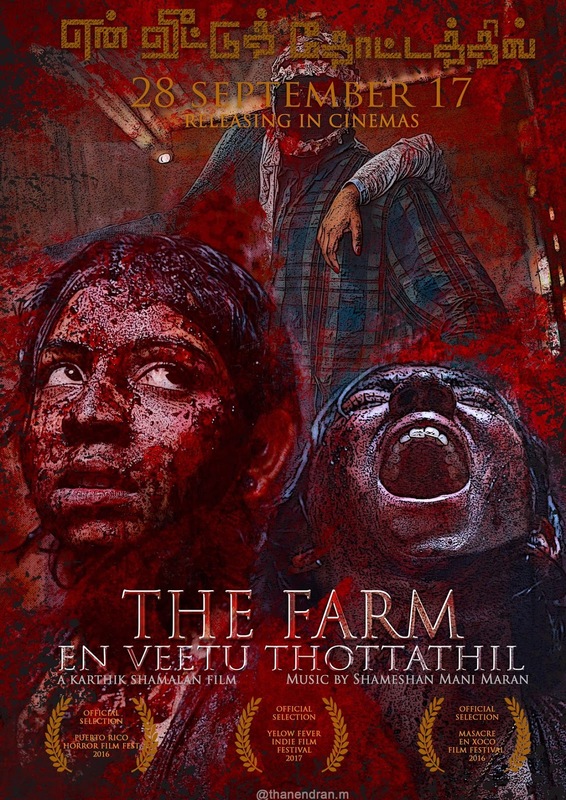 Under The Spot Light: En Veetu Thottatil- The Farm. I went for two Malaysian Tamil films this year and I was on the verge of giving up of ever going to watch one in the cinema anymore. I told myself that EVT The Farm would the last film I would watch in cinema and if that also disappoints me, I would stop watching Malaysian Tamil films in cinema moving forward. EVT The Farm was my last roll of the dice. I haven’t had a great experience reviewing local films as the last one got me into a lot of trouble. However I am going to push my luck and review this film while hoping that all the points in my review would be received with an open mind. Presenting to you Boggler Blogger’s review of En Veetu Thottatil- The Farm. Slasher Thriller. That is how the film has been promoted throughout its marketing campaign. I had no idea previously and EVT gave me an amazing insight to that. To simplify the film, the story is about a girl mute and deaf girl who gets kidnapped by The Onai and is trapped in a maze like house. Her goal is to escape the house alive while the cops try to track down the kidnapper. The film touches a love/romantic at the early parts of the film before moving into the slasher thriller genre. 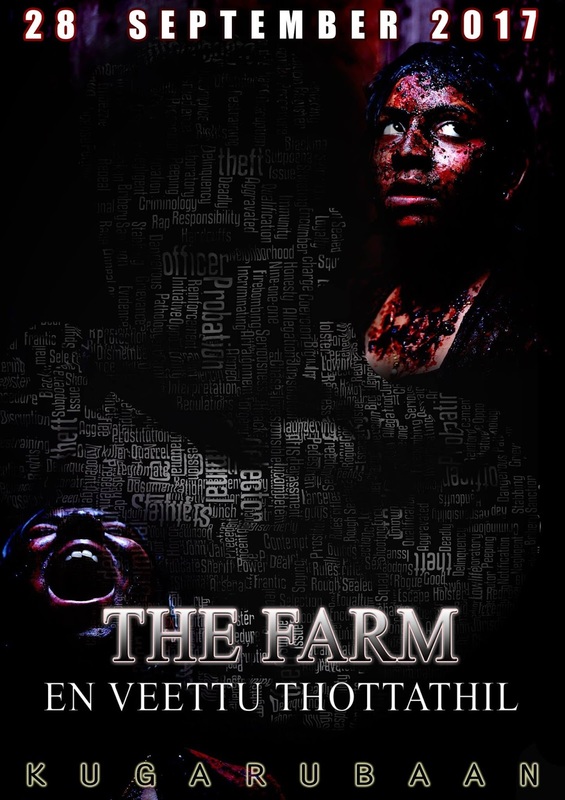 To be honest, when you watch the slasher thriller part of the film, you would feel the pain of the characters being trapped in the maze house. So much blood and violent killing to the point it you would also feel the pain of the victims. Credit to the director for creating a film that allows the audience to feel the pain as well. My favorite portion of the film was the cat and mouse game happening between the lead character and The Onai. It was so well designed the sequence of scenes which will keep you glued to your seats and captures your full attention on what is happening. There was a couple of downside for me with the first being the pace of the film for me especially the love portion. As beautiful it was shown I felt that portion had something missing and it wasn’t winning my full attention on the film. Also I felt that the role of the boyfriend in the film didn’t really gel well with the film and didn’t connect the dots that well. I can see how the whole love portion brought the lead character to the location she was kidnapped but I don’t think that was strong enough to have that long of a portion just for that moment. Also the boyfriend part was left a little hanging in my opinion on what happens to him after the investigation. As fantastic as The Onai was, I don’t think the backstory of the character does enough justice to allow us to understand why The Onai does what it does and how it picks its victims. I felt that portion was a little rushed and short. I would have preferred if the love portion was trimmed and The Onai backstory was extended as it would have gave the audience more clarity. Another positive in the film was the opening police fight sequence. That was very well done and I enjoyed it very much. It reminded me a little of a Gautham Menon Police chase/fight sequence. Well done again it was brilliant. Brother you are gem to the Malaysian Film Industry. I was at awe watching your product. There has always been a general perception of how a Malaysian film would be and your film was nothing like that. You showed us that, we Malaysians too can produce internationally acclaimed quality films and I can’t thank you enough for that. You restored my faith in Malaysian films. You deserve all the credit for coming up with such an engaging and gripping screenplay. I loved the arrangements of the scenes and how you balance the film between the romantic portion, the police portion and of cause The Onai portion. The arrangement was really good as you didn’t allow the film to travel in a single mood for a long time. The constant moving around made the film very gripping to watch. In an industry where by a heroine usually has almost minimal importance to a film, I got to congratulate you for coming up with a character design of the female lead which was so impressive and bold. This character will inspire people. You spoke many times saying you are not sure if you would ever do a film after EVT. Well brother, as a normal audience who craves for quality films, it is my humble request and I believe I speak behave of the majority by saying that you should continue to direct more films post EVT. You have the talent and quality and we want more films from you. And finally, I clapped and cheered so much for the very last scene you put out. It was a fantastic touch and I was out of my seats for that. I was just so happy to watch that final scene. Thank you again. You are the brain of the film. Lady, you deserve a standing ovation for your performance in EVT. I was wowed by your performance. So much class and commitment expressed by you in your role. The fear you emoted in the film was so convincing that the audience too traveled with your fear and pain. Playing a character which is mute and deaf is not an easy task as you have to rely fully on your eyes, expression and body language to tell the audience what is going on and how you are feeling and you aced it well. The whole proposal scene was just top class. I loved the fact how your cheeks were kind of shacking and vibrating during those scene. Such small detailing but adds so much of value to the scene. You have now set the bar on how a female lead character can perform. Without a doubt you were the heart of the film. At this part here I have to give lots of credit to the person who dubbed for Jaya Ganason. No dialogues just expression sounds but it was so damn good. The dubbing from you plus Jaya’s expression worked so well together. I know it wasn’t an easy to thing to do and congratulations to you. You would have needed to be fully in character just like Jaya to understand how the character feels and expressive it with your voice. Wonderful job. I am tipping you to win the best actress award for next year's Festival Filem Malaysia. Mahesh Poobalan plays the role of Detective Kabilan who is recovering from a traumatic experience of his own, is assigned to solving a case whereby people have been going missing. He plays his role convincingly as a relentless cop who would not stop until he cracks the case. I enjoyed the complexity he expressed dealing with his own dark past while at the same time pushing hard to solve this case. By now everyone would have loved his scene where he says “How do you feel now” and that includes me as well. He did justice to his role and brought out what is needed. Meanwhile Mohana Raj plays the character of Dev who is the love interest of Sujithra (played by Jaya Ganason). Although I didn’t really feel the relevance played by his character in the film that much, I must say Mohana does enough to perform in the role he was given. Relevance of the character is not in his hand therefore I don’t just him for that and only judge him for the way he performed. The heartbeat scene and the way he reacts to Jaya’s proposal would be his highlighting point in the film. First up K.S.Maniam sir, credit for you for taking up a role which someone your age would not want to take up. You played a role which people could laugh about, hate you and also feel for you (credit to Karthik Shamalan for the character design). Goes to show that you are capable of playing different type of roles that draws different reactions from the audience. Everyone is so curious to know who The Onai and I loved the way how it was all revealed in the climax. Just like Jaya, you too had no dialogues and had to rely fully on your body language. Unlike Jaya, who could rely on her facial expression to translate her reactions to the audience, you on the other hand was fully masked and can’t do that. Despite that, you were able to struck fear in peoples hard, by just the way you walk, the way you move and of cause the sound you made. That is just wow how you were able to do that. I was told you put on an additional 27 kg for this role and that shows dedication. You were definitely another star of the film. In a film which only has 30 % dialogues, music plays a far bigger role than any other normal film. I am glad they picked you for the job because you went on to give life to the film. As much as I enjoyed your songs in the film, the little background score and music in the film between the scenes gives life to it and allows us to understand what is going on. Your music gave so much meaning to the scenes and that was the key reason on how the audience were able to connect with the film. Shameshan Mani Maran, you are the soul of the film.